Over on Vinylmation Exchange a cool picture popped up. 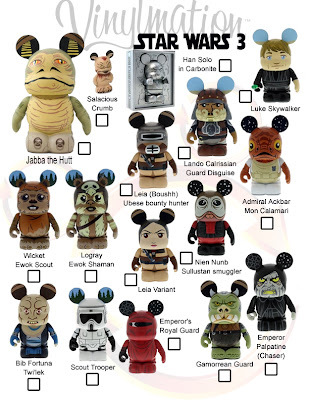 David Kramp of Vinylmation Exchange put together this sheet to explain all the figures coming out in the new Star Wars 3 set. 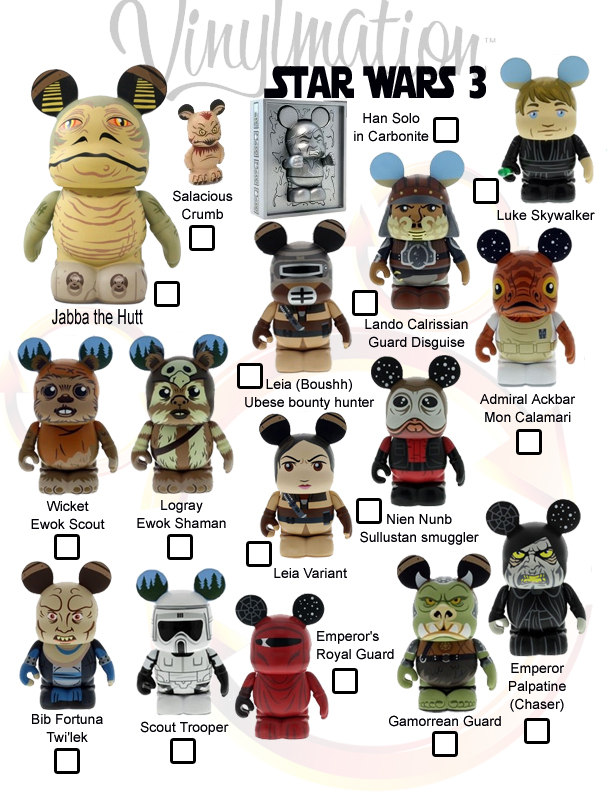 For those of us who are not Star Wars expert, David has listened all the names of the characters to make it easier for people who want to explain which figures they want to trade. Thanks David, from the whole Vinylmation community! Thanks for the plug – I can’t wait for this set to be released and the trading frenzy that will follow. I’m sure MC will agree with me that Bib Fortunate translates a lot better as a Lego mini fig compared to vinyl Bib. Does it need a hood?